Welcome to the Australian Environmental Pest Managers Association March 2018 edition. Please read for more details below or visit our website for online version. AEPMA would like to invite you to attend its national conference in 2018. Following on from the popularity of the Gold Coast in 2016, AEPMA will hold its 2018 conference on 19-21 September at the stunning, newly renovated The Star, Gold Coast, QLD (formerly Jupiter’s Casino). The theme for this year’s event is “Pest Management in a Changing Market”. Once again the program is exciting and full of outstanding and interesting presenters, with up to the minute topics to help you and your business stay relevant in this fast- paced industry. With some 20+ key manufacturers and suppliers showcasing the latest in products and techniques and a chance to enjoy yourself at our special social events, it is an ideal networking opportunity. Further details regarding the conference can be found by visiting https://aepma.com.au/conference. Don’t delay, secure your place early - BOOK NOW & SAVE!!! It’s an event not to be missed! !able to increase the number of postcodes attached to their account. Entries open on 3rd April for the 2018 Pest Manager of the Year Awards, once again organised by AEPMA and sponsored by both AEPMA and BASF. “We’re really excited to be supporting the awards again this year,” says Rachel Carson, newly appointed BASF Sales and Account Manager for Professional & Specialty Solutions. Companies of any size operating in the South Pacific. The winners will be announced at the Gala Dinner at the AEPMA Conference in September 2018. Entry forms should be forwarded by COB 15th June 2018 to the AEPMA National Office via email to info@aepma.com.au or fax 07 3268 4213. More information is available on the AEPMA website. The newly updated AS 3660.2 ‘Termite Management – In and Around Existing Buildings and Structures 2017’ represents some significant changes to the way we conduct termite work and although much has remained consistent with its predecessor, there are new additions and procedures. Some of these changes will be welcomed while others will be more challenging, however the following synopsis should not be viewed as a critique but merely an attempt to create some consistency with the way these changes may be interpreted. AEPMA has consulted stakeholders throughout the industry including insurers, manufactures, AEPMA members and those who represented our industry in the creation of this Standard. The Federation of Asian and Oceania Pest Managers Associations (FAOPMA) and the Australian Environmental Pest Managers Association (AEPMA), together with Bayer are pleased to announce a new award for Excellence for the managed Pest Management Industry. The President of FAOPMA, Madam Huang Xiao Yun, welcomed the new award. “Following the initiative to highlight the importance of the pest management industry to the general public on 6th June each year, the new award allows the industry itself to recognize the important contributions made by many individuals to the industry to its development and continued growth. The AEPMA award will be held at the national conference at the Gold Coast, Australia on 19-21 September. 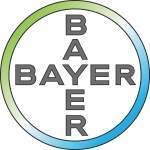 Both Madam Huang Xiao Yun and Mr Vasili Tsoutouras thank Bayer for their support of this important initiative and encourage members of the industry to nominate appropriate individuals to receive the award. There aren’t many research and development companies in Australia that a pest management professional can ring and ask them to make a customised insecticide. There are plenty of generic suppliers who are happy to copy someone else’s product. But developing something totally new and innovative takes a special company with exceptional talent to turn an idea into reality. Such was the case with EnsnarePRO introduced to the Australian market early in the year. EnsnarePRO, containing 50 g/L indoxacarb is the result of pest managers across Australia asking for a non-staining easy to use liquid formulation. Up until the launch of this product the industry was told it wasn’t possible to make a non-staining liquid version of indoxacarb. The wet and warm weather has resulted in the perfect conditions for spiders to come out of their nests and check out your home — with reports they are invading in huge numbers. REDBACKS, huntsman and white-tailed spiders are “extremely prevalent” in Adelaide homes this summer and early autumn due to good breeding conditions. And there’s good news and bad news about your chances of getting a nasty bite. The bad news is that most white-tailed bites happen indoors because they like to nestle among towels and clothing. But the good news is stories of the white-tailed bite eating away flesh have been largely debunked as a myth, with studies showing the worst the bites can cause are a burning sensation, swelling and an itchy red mark. It is rare for employees to be ordered to pay costs after losing unfair dismissal cases. If it weren’t rare, the expression ‘go away money’ might not have been coined. But it is even rarer still for an employee to be required to stump up a security before trial, but that has happened in the Fair Work Commission. An employee has appealed his unsuccessful dismissal claim and the employer is none too pleased about that. Understandably so, given the decision under appeal involved a case that ran for two days after which the FWC found the employee was genuinely made redundant. The employer argued that the appeal was vexatious and there was uncontested evidence the employee was engaged in a campaign against the employer over the whole affair. Additionally, the FWC indicated that the appeal grounds the employee was relying on showed little prospects of success. This was especially since that material evinced no suggestion of significant error of fact or law. The full bench has decided, before it hears his appeal, that the employee must lodge a $10,000 cost surety. There are many appeals in the unfair dismissal regime that merely re-run the case already lost. Given the enormous resources appeals use up this Order is a welcome development. AEPMA’s South Australian branch recently held its AGM, with office bearers elected for the ensuing 24 months. Mark Wagner was elected Chairman, Chris Durwood as Vice Chairman and David Lavender was again elected as Secretary. Vasili Tsoutouras will represent South Australia on the AEPMA National Board, with Neil Raw holding the alternate delegate position. AEPMA would like to thank outgoing Chairman, Gordon Morrison, for all his hardwork over the last 2 years. Rapid Solutions is giving away a major prize of two tickets including travel and accommodation to the AEPMA 2018 Conference on the Gold Coast in September. The winner and a guest will enjoy 3 night’s accommodation in an Executive Deluxe King Room at the Star Gold Coast, with flights and transfers included. In addition, two minor prizes of iPads will also be awarded during the competition. Rapid Solutions is looking for questions on topics that are important to you and your business. A panel of pest management and building inspection experts will provide advice and information on practical, technical or insurance topics. The questions will show what challenges you’re facing and help ensure that the services Rapid Solutions provides are tailored to your needs. Questions can now be submitted and the competition will close on 31 May 2018. Winners will be randomly selected and the major prize winner will be announced on the 6th of June 2018. A selection of questions will be published on the Rapid Solutions website and distributed to all participants at the end of the competition. You have from now until 31 May 2018 to enter so don’t delay. The Indian myna was introduced to Australia as a pet and pest control in the 19th Century, but like so many other introduced species, it’s now in plague proportions. It’s so successful, the International Union for the Conservation of Nature (IUCN) has declared it one of the world’s most invasive species; it’s one of just three bird species in the top 100 posing a threat to agriculture and biodiversity. An 2000s ABC survey found it was considered Australia’s most significant and growing pest problem, greater than the cane toad, rabbit and European wasp. The myna was also the pest people wanted controlled most of all. Yet it has spread unceasingly along the east coast of the continent, establishing itself in the coastal capital cities and then expanding. Until very recently, it was thought that Ballarat was too cold, too high up, to sustain the Asian bird species. Recently however, the bird has been sighted in Ascot and Cardigan, and in limited numbers in the town itself. It has been recorded in Creswick and further north towards Maryborough. 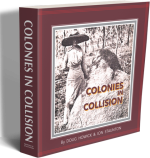 “Colonies in Collision” follows our battles with wood-eating termites since the human colonists brought their crates of stores as unintended offerings to the termite colonies of Sydney Cove in 1788. This is a comprehensive story of humans in the battle to save wood in structures from termites and you’ll become involved when you connect the dots and see how the past has shaped the present. This book encapsulates relevant and significant information about termites per se and particularly details of the development of the professional termite management industry in Australia. As such, it constitutes a useful basis of learning not only for existing practitioners, but also for the training of incoming participants into that aspect of our industry. As both of the book’s authors are former Executives of the Association as well as being Life Members of AEPMA, it is no surprise that AEPMA also gets more than considerable coverage, “Association Influence on Termite Control” is discussed in such detail that it could well be enshrined as part of the recorded history of AEPMA. AEPMA welcomes any contributions or suggestions for articles that you feel are relevant to the industry. Simply forward to info@aepma.com.au. Or do you have something to say about an article you’ve read in the Newsletter? Why not leave your feedback on our Facebook page. You are receiving AEPMA e-newsletters. 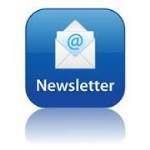 If you are not interested to further e-newsletter from AEPMA, please click here to unsubscribe.